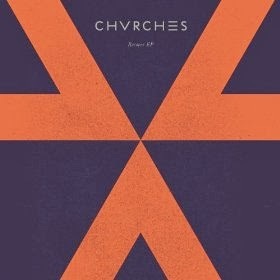 WHY: The first of two appearances on my list by Scots darlings CHVRCHES, the Recover EP is here primarily on the strength of the back-to-back fantasticness of “ZVVL” and “Now Is Not The Time.” The former harnesses the gorgeously gloomy, intensely powerful side of CHVRCHES’ synthy shenanigans, while the latter expresses a somewhat softer restraint, opting primarily for girl vocals where “ZVVL” is given the masculine touch. They’re as good as each other, which to my mind is ridiculously good indeed. A welcome appetizer for their sensational LP.